These presentation slides 48223 are complete compatible with Google Slides. Simple download PPTX and open the template in Google Slides. This theme looks extremely positive and cute having really bright design. With its help you can describe different stages of work in your presentation as there are various arrows and icons, the globe and others. 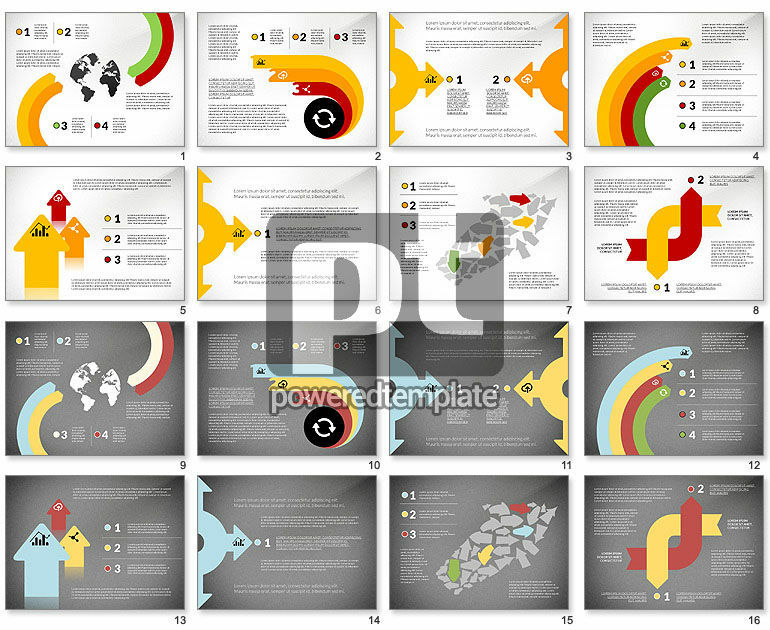 Therefore this template can be a nice choice a kind of business presentations related to world trade, airline services, networking, global solutions, business growth and the like.